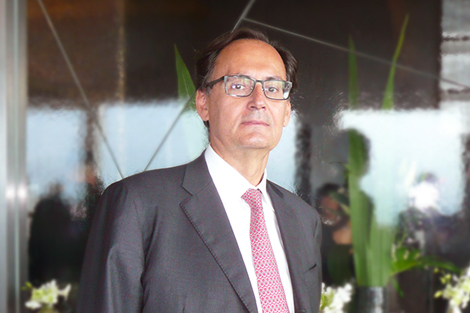 François Pagès has over 25 years of a strong International Banking experience with postings in Europe, Asia and the Americas. Over the years he has been involved in creating numerous new businesses, reviewing and implementing acquisitions in the financial industry as well as managing teams of financial professionals. He has also frequently advised corporates and investors in their hedging, financial investments and funding strategies. François started his career in the French diplomatic services in the late 1970’s, stationed in Beijing and Singapore. After returning to Paris in the late 1980’s, François became Head of the Options Sales & Structuring activities (Fx, IR, Equity). He was then recruited by Crédit Lyonnais (in 1991) as Head of the Worldwide Equity Derivative Group, where he was soon made CEO of Crédit Lyonnais Securities (Japan.) As CEO, François supervised all Capital Market & Brokerage activities in Japan with a major focus on coverage of the Japanese customer base, and the development of various Japanese product franchises for the group. In 1999, François became the CEO of Crédit Lyonnais Securities (USA) and Head of Capital Markets/Brokerage & Investment Banking from Crédit Lyonnais group in the Americas. Upon the merger with Crédit Agricole in 2003, he retained the same position for Calyon in the Americas supervising teams based in the USA, Canada, Mexico and Brazil of over 500 Front Office professionals. Beside high level customer relationships, François was intimately involved in the creation of new activities and the acquisitions process of businesses and/or teams. François has a MBA from ESSEC in France and a degree in Asian languages from Paris University. He is tightly involved in several think-tanks and non-for-profit organizations. Francois is a registered representative and principal with Series 7, Series 24 and Series 63 licenses.